We support arts and culture organizations in the planning process as they strategize to build cross-sector partnerships, make work from community stories, engage nonprofessional arts participants, and create programs that engage their audiences and visitors. Using tested methods of engaging new partners and a strengths based approach to activating your current connections, we can help you set goals and start out on the right foot. 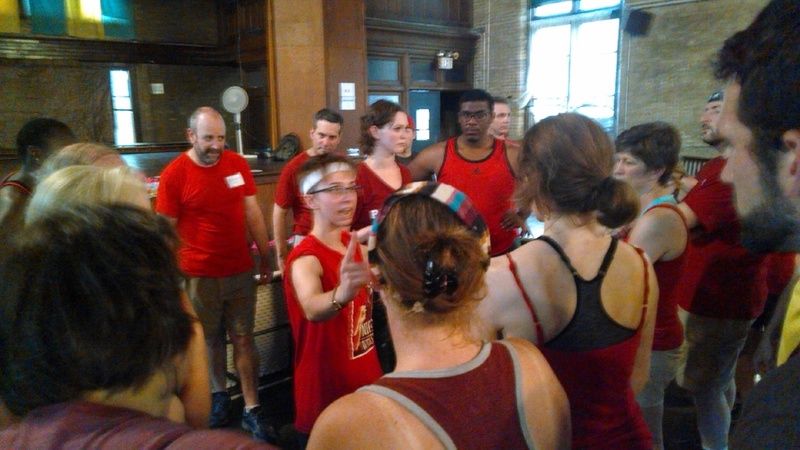 Leah Stein Dance Company, Mendelssohn Club Choir, Temple University Institute on Disabilities, Drexel Entrepreneurial Game Studio, Swim Pony Performing Arts, FringeArts, Shakespeare in Clark Park, Sojourn Theatre, McCarter Theatre. Many arts organizations want to increase their audience engagement but are not sure where to begin. Before diving into a full engagement strategy, consider purchasing an Arts Approach Jump Start. Each year, two Arts Approach Jump Starts will be awarded to organizations or artists working on projects that address issues of social justice. In 2018, we will focus on projects that address issues of gender inequity. True stories told in entertaining and moving performances can compel, connect, and start conversations within your community. As director and writer for performances based on interviews and writing exercises, I can create a performance that will be a dynamic addition to your regular programming. Onstage Seniors (McCarter Theatre), 100% Philadelphia (Rimini Protokoll/FringeArts), Storytelling performances for Mural Arts Program, Achieving Independence Foundation, Philadelphia Museum of Art, Greater Philadelphia Cultural Alliance.